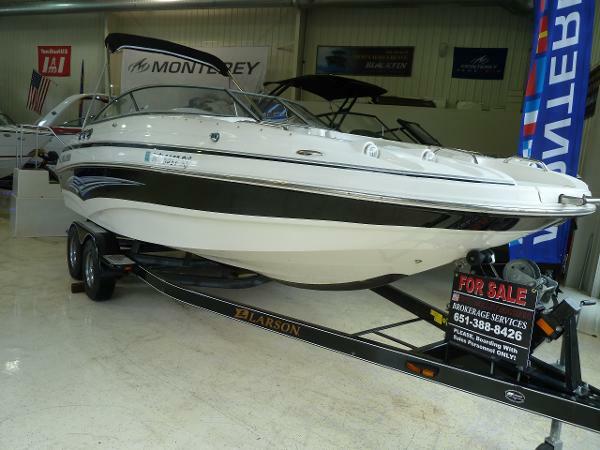 This Express Cruiser is a very nice design with all the amenities to enjoy time on the water. Single Mercury MerCruiser 5.7liter 350 MAG MPI (300-hp). 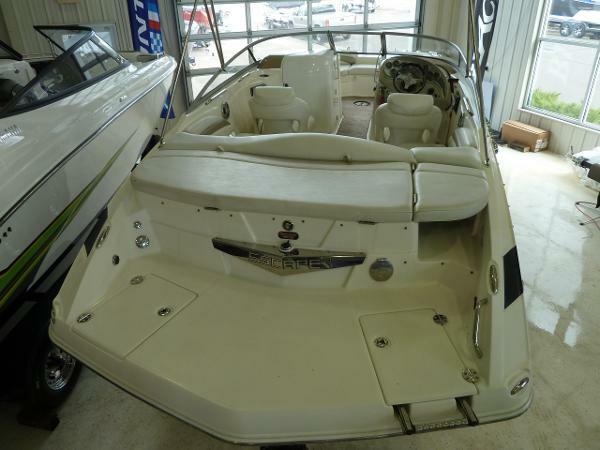 This clean Larson Cabrio 240 is a roomy express cruiser, offering a good balance of entertaining and living space. This express cruiser offers excellent performance with her stepped hull design and her Duo Bravo 3 stern drive.She is outfitted with heat and a/c stove, microwave coffee maker internal television fresh water pump Water Heater full galley w/cooktop microwave under counter refrigerator (12v/110v) Sirius XM radio Built in 20 amp Charles Charger Spot Light with remote at helm Anchor Windlass that will become your favorite option. Forward berth, nice dinette seating, large head with vacu-flush head, sink & vanity and a shower, stereo speakers, 12v lighting, 110v outlet and ample storage.She also includes a mooring/cockpit over and full camper canvas that is in very good shape. The snap in outside carpet backing is crumbling and needs replacing. I still have the carpet to use as a template for replacement. There is standing headroom in the cabin. The forward berth is large and offers more headroom and comfort than a 24ft Sea Ray. The aft cabin is also much bigger than the Sea Ray. I'm 6.0 and 245 lbs and I prefer to sleep in and fit nicely in the aft cabin. The a/c has a vent into this cabin and is also controlled here as well. This boat comfortably sleeps four in comfort. Sleeping is handled with a large Dinette that drops down to sleep two and then the mid-cabin sleeps another two.The cockpit has comfortable seating, wet bar, walk thru transom, large swim platform. 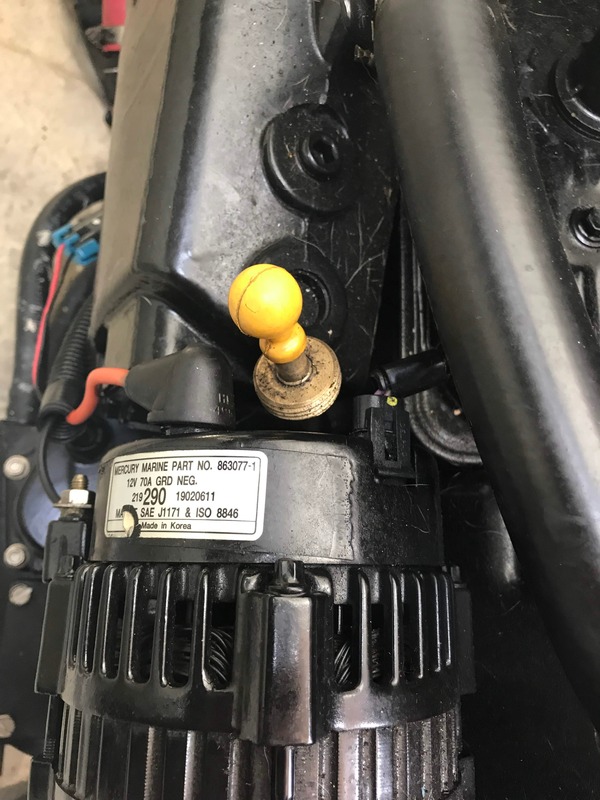 New All fluids, oil, gear lubes, zinks, water pump, impellers, prop shaft maintenanced May 2018 Oil change 2019 New batteries in 2019 New Victron BMV-712 Bluetooth Battery monitor system, 2019. 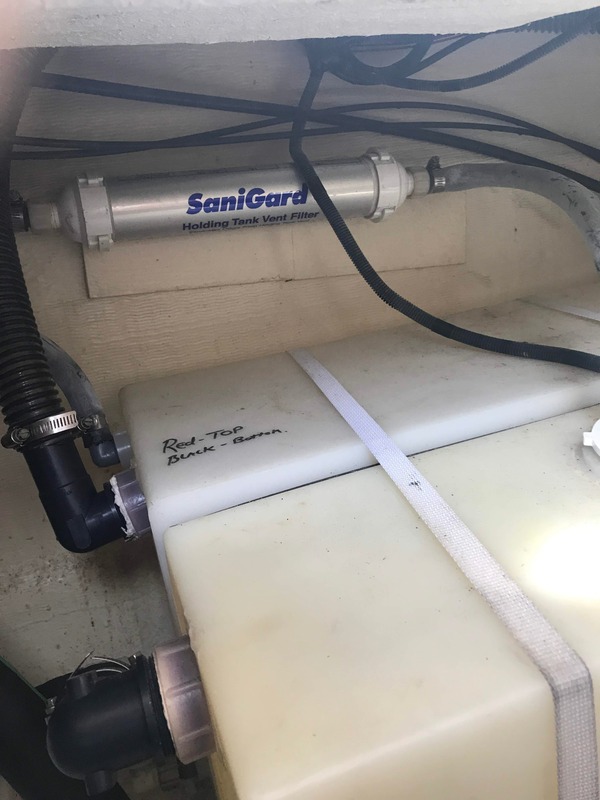 New aft bilge pump and auto switch, 2019 2018 Survey available to serious byer The Victron BMV-712 is a Battery "fuel-gauge", time-to-go indicator, and much more - The remaining battery capacity depends on the ampere-hours consumed, discharge current, temperature and the age of the battery. Complex software algorithms are needed to take all these variables into account. Next to the basic display options, such as voltage, current and ampere-hours consumed, the BMV-700 series also displays the state of charge, time to go, and power consumption in Watts. The BMV-712 features an additional input which can be programmed to measure the voltage (of a second battery), battery temperature or midpoint voltage. This can all be monitored on your phone with an app. 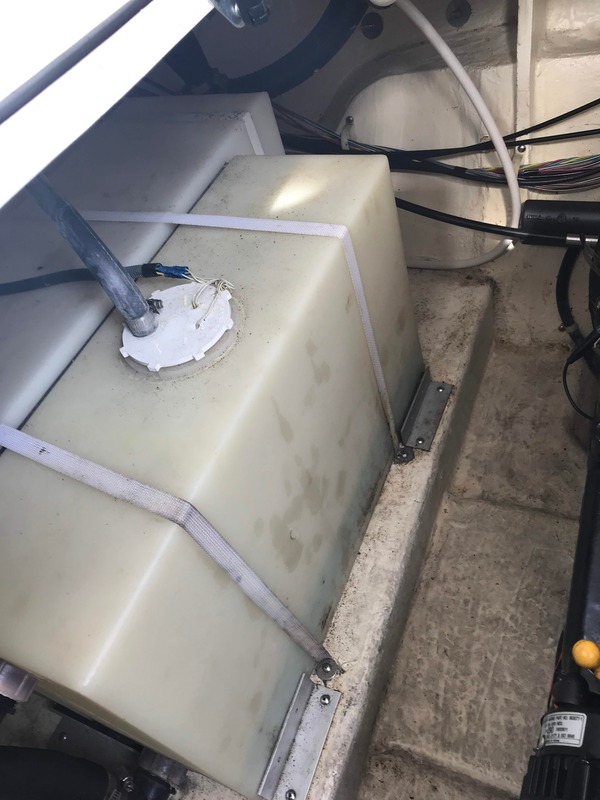 KNOWN ISSUESWater heater has been bye-passed and needs to be replaced. Should be easy, plumbing is all there.Windshield wiper motor needs repair or replace.Carpet backing is crumbling. carpet it self seems ok.INFORMATION ON CONDITIONThe boat was kept inside a dry storage boatel at a fresh water Marina in Woodbridge Virgina from 2007-2018. When I bought the boat I moved it to Deale Md. The boat still looks brand new. She has never been bottom painted. I kept the boat last year on a lift slip at Harbour Cove Marina where the boat is today. Seats are clean and the seating is very comfortable. 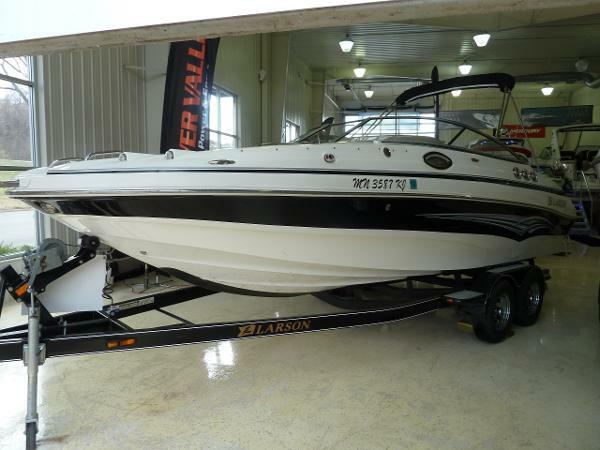 I am selling the boat because I just retired and I just bought a 49' Defever CPMY to live aboard. This was a fun boat for the year I had it.Please contact us for more information. More pictures can be found hereI can provide many more pictures when requested.